I hope that Monday is treating you all well! I'm unfortunately STILL sick and can't take virtually any sort of medication post-surgery. *Sighs heavily* I hate this weather. What I don't hate, however, are holo polishes and Star Trek. 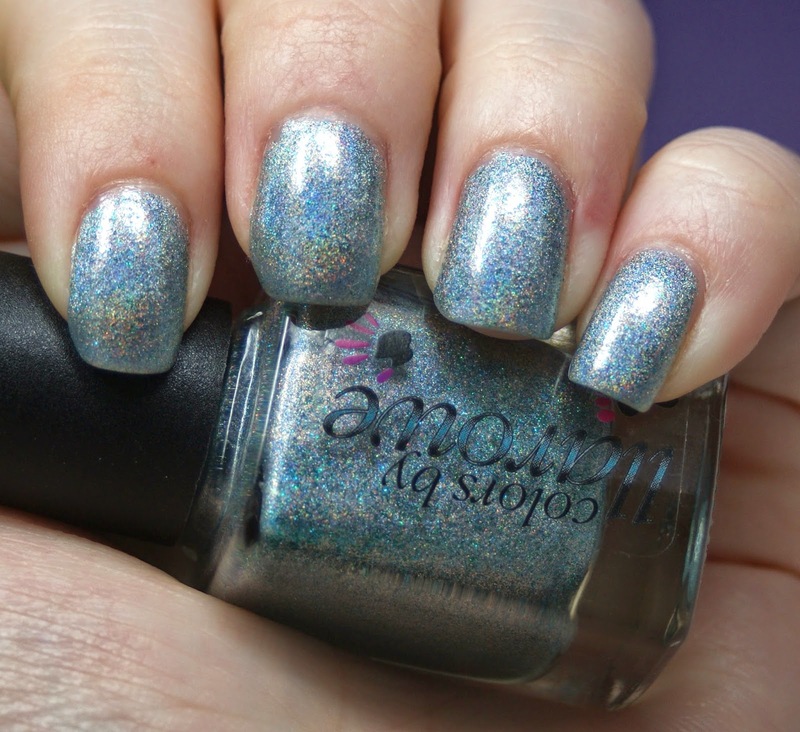 In fact, when I found out that Colors by Llarowe named a polish Beam Me Up Scotty, I knew I just had to have it! Beam Me Up Scotty is an icy blue linear holo polish, with tiny flecks of turquoise glitter sprinkled throughout. The glitter was a bit of a surprise, but I really like the extra pop it adds! All Colors by Llarowe polishes are available at Llarowe.com for between $6 and $12 dollars. (The holos tend to run on the higher end of the price range). Are you ready to be beamed aboard the Enterprise? gosh i just wish it was warm & sunny enough to wear holos and enjoy them. I love this shade! It's so pretty! This is super pretty! Feel better soon! !